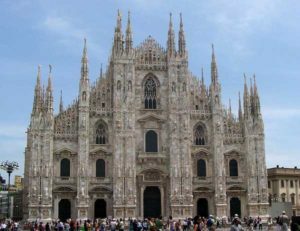 Definitely the most famous sight of Milan , the Duomo Santa Maria Nascente is also one of the largest religious buildings in the world . 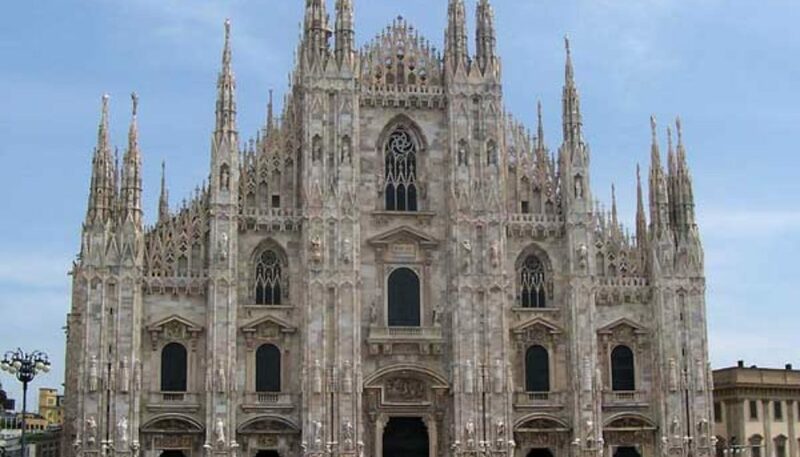 Its splendidly white marble facade with thousands of spires and statues opens up to the large Piazza del Duomo , where all great festivities of Milan take place (like Inter or Milan soccer championships). Some people were less enthousiastic about the cathedral’s architecture, calling it a giant typewriter. Walk around the building for an impression of its size and beauty, then enter through one of the 20th century bronze doors. The space inside is impressive. The very large stained-glass windows behind the choir in the back are spectacular. You may also visit the crypt , the treasury and the underground baptistery, remains of the 4th century Santa Tecla basilica. This is a truly historical spot as it was in this baptistery that St Ambrose finally christened St Augustine , who was to have a decisive influence in the history of catholicism over the ages. Parts of the apse of the Santa Tecla (floor tiles) are visible through a glass window at the Duomo Metro station. The one thing not to miss is to visit the roof (by stairs or elevator) where you enjoy a panoramic view of the city and possibly the Alps. 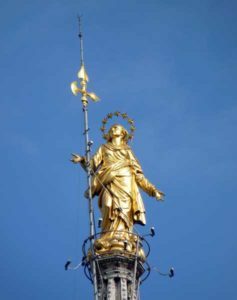 It also allows you have a closer look at the statues among which the gilded copper Madonnina (the highest point of Milan). Tickets for Duomo rooftop, treasury and baptistery are available at the MilanTourismPoint and Autostradale Offices. The prices are rooftop elevator 12€, rooftop stairs 7€, rooftop, treasury and baptistery 13 resp 10€. In summer you might be so lucky as to be able to attend one of the few concerts on the roof terrace . Must be a spectacular experience! 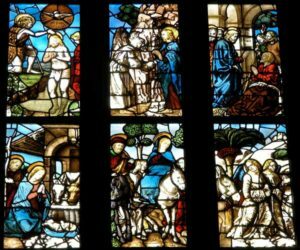 See the Viviilduomo website for the calendar of events. 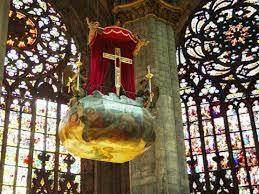 In September the so-called Rito della Nivola is celebrated, in which the chiodo relic , that is believed to be a nail from the Holy Cross , is taken from its position in the cathedral. It is preserved in the apse in a case inside a tabernacle, about 45 m above the ground, and taken from there by the bishop who is lifted up by an elevator, called the nivola (cloud). To experience this event, you need to make a reservation at the Venerando Fabbrica . Audio guides are available at the Duomo Info Point ( Via Arcivescovado ) and recommended. Audio Guides may also be downloaded from the VisitaMilano website (in english). Fully accessible to the disabled. Decent clothing obligatory (no shorts, arms & legs covered)! La fabbrica del Duomo is an expression that signifies a never ending work. The building of the Duomo lasted from 1386-1812.